The semester fee for student is generally payable on 7th day of August and January every year. Students are required to pay their Annual/semester fee within the given time frame notified by the Registrar office and thereafter a fine of Rs 100/- per day would be imposed ! 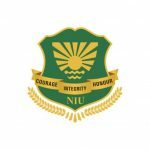 The fee can be paid through the payment link given on our website www.niu.edu.in mentioning your details like Admission Number ! Course, category etc and by using their debit/credit cards or netbanking. Branch: Sector 18, Noida, UP. Students paying their fee through above modes need to submit the hard copy of transaction details in order to receive the fee receipt from accounts department at University. The fee can also be deposited by cash in accounts department at University.